Seeing games translate over from the mobile devices onto consoles and PC can turn out to be quite the treat. And in the case of Badfly Interactive’s latest game, Dead Effect 2 VR, not only did they take the original mobile game from 2015 and bring it to the game consoles, but they also incorporated VR! You wake up while in deep sleep from cyrostasis and then you realize that there is a virus outbreak on the ship that turns people into zombies. You too are infected and must make your way to fight off these zombies, even though you are going to die. The characters you meet give you different types of upgrades and, on top of that, when you complete each of your missions, you get in deeper to the background story. You do have a choice among the three character classes to control. There is Gunner Davis who is a heavy weapon specialist class, Jane Frey who is appropriate for close combat using her shotguns, and Kay Rayner who is best suited for melee attacks. From this, you should choose the character that best suits your play style. The controls in Dead Effect 2 VR is pretty intuitive as you can use the controller buttons to pick up and hold items. For movement, you can either use your thumb and move accordingly or you can teleport with the other controller by pointing and clicking. Either way, it works really well but does take some time to get used to, especially if it’s your first time playing VR. The enemies themselves will give you quite the scare especially since you’re immersed into this environment with VR. 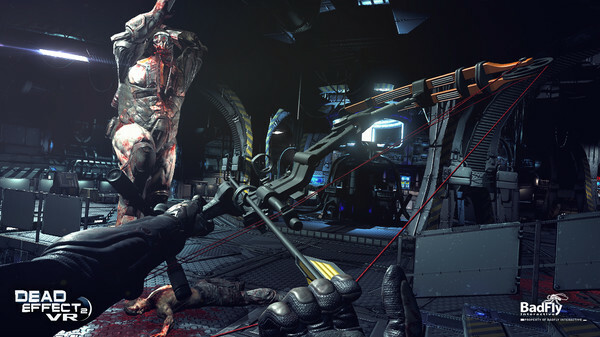 Dead Effect 2 VR offers missions that help move the story along while there are others that involve survival. However, while there is a diverse number of mission types to engage in gameplay, they are unfortunately pretty short in length. Thankfully, the inclusions of the side quests gives some degree of variety to the overall experience. And despite the missions’ short length, that doesn’t necessarily mean that the game is way too easy. On the contrary, as you progress further, the missions get significantly more difficult. Adding an element of depth is the ability to upgrade your characters each time you complete your mission. So having this RPG aspect gives this game its longevity. 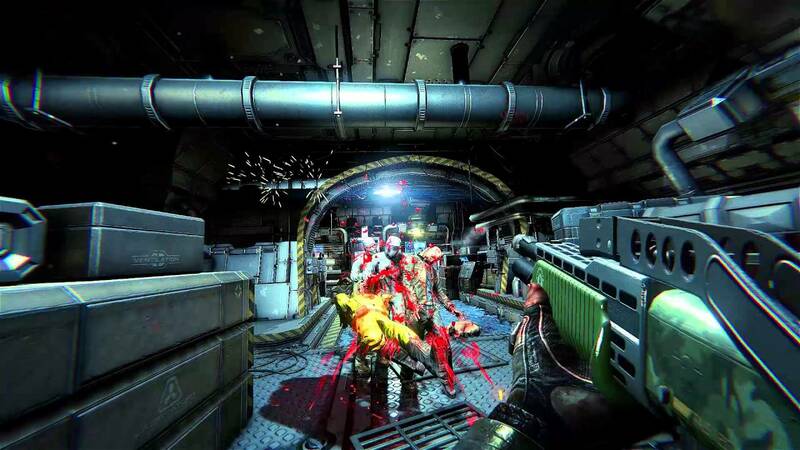 The visuals in Dead Effect 2 VR look mighty impressive. The environments and the characters themselves are designed with quite the degree of detail. Effectively adding a sense of immersion for players into this scary world are the audio effects. I find myself numerous times jumping with fear because of the sudden sounds coming in other directions. The unfortunate thing I have to say about the audio is how corny the dialogue is. But this can be easily overlooked with again all the jolting with fear from the incoming zombies. 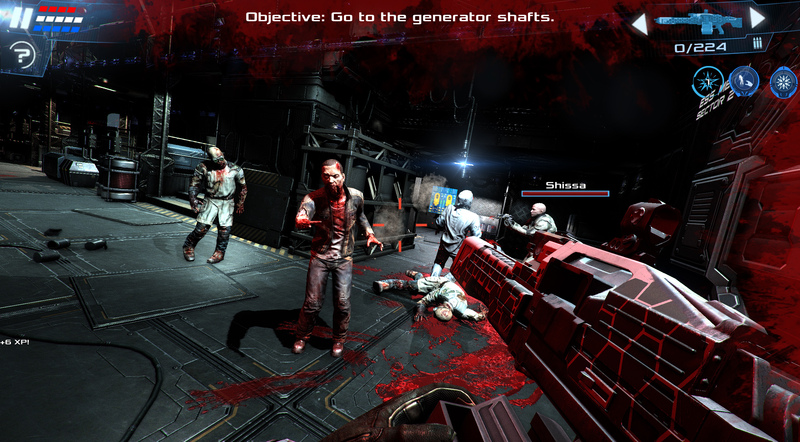 It’s hard to believe that Dead Effect 2 VR came originally from a mobile title (obviously without the VR capabilities). Nonetheless, what I see here is a fantastic mix of first-person shooter and RPG that really gives an overall satisfying VR experience.